This is one of my go-to summer rosé wines. This usually has a nice mix of fresh fruit and crisp acidity. There are rosés out there with crisper acidity and others with more fruit, but to me, this strikes a nice middle ground. 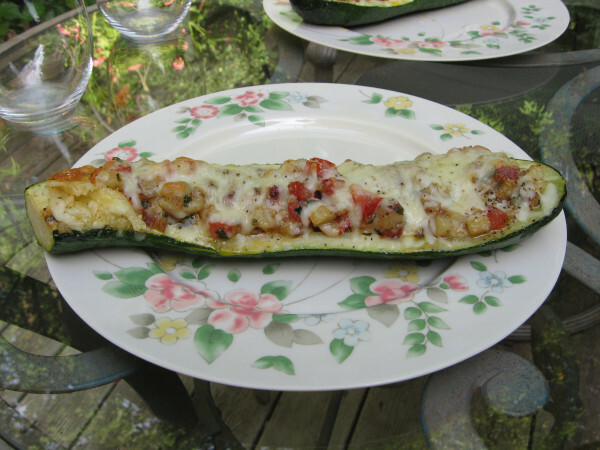 This generally pairs well with lighter warm weather meals but will also be welcomed as a sipper on a hot day. 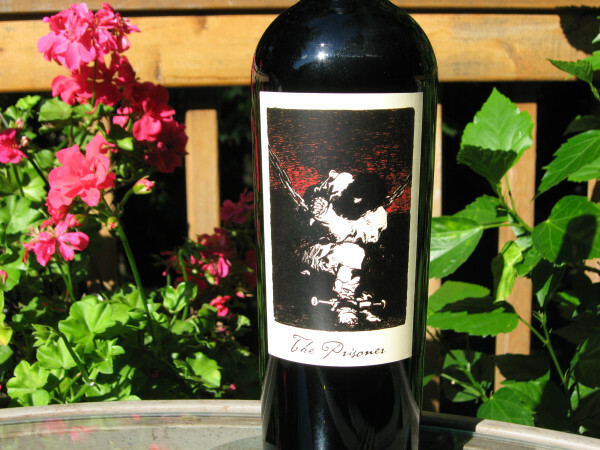 This is a tank fermented, saignee, blend consisting of 70% Grenache, 20% Mourvedre, and 10% Carignan from Paso Robles. The artwork on the Rosé label was created by the owner’s daughter Camille. As an added bonus, $2 from each bottle sold goes to Jack’s Helping Hand, a San Luis Obispo, CA charity that meets the needs of ailing and disabled children. Please visit http://www.jackshelpinghand.org/ for more information. A little something to sip while working at the wine store today. Need to make sure we don’t suffer from dehydration. I had a bottle of this last November and felt it needed at least six months in the cellar for the finish to come together and the oak too begin to smooth out. I want to see how this is coming along. This is usually a family choice when we’re having something a touch spicy that needs a red wine. 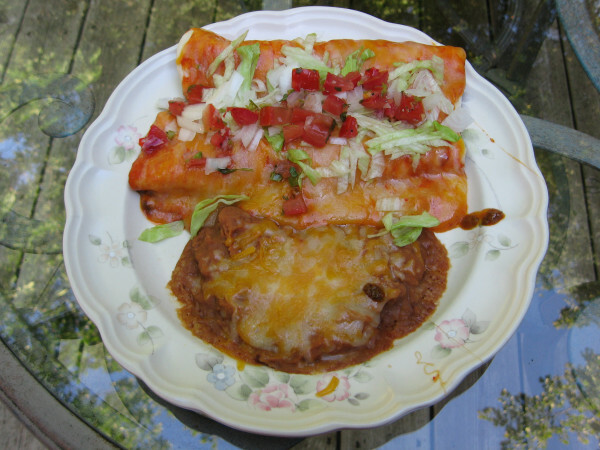 Burritos with enchilada sauce and some spicy refried beans meet these requirements. This is usually a love it or hate it wine. People who love it, generally go wild for it, those who don’t like it generally look at it as a gloppy mess. To me, this wine varies heavily by vintage. In hotter years it tends to be sweet and syrupy, in more moderate years it maintains enough acidity to hold the big fruit, body, and alcohol (15.2%) in check. This is big, ripe, full bodied red from Napa and is a blend of 46% Zinfandel, 26% Cabernet Sauvignon, and the balance consisting of Syrah, Petite Sirah, Charbono and Grenache. Here was our Saturday dinner. We had beef burritos with enchilada sauce, cheddar jack cheese, fresh lettuce, onions, and my wife’s fresh salsa. A side of spicy refried beans with some cheese finished off the meal. The Prisoner ended up being a pretty good pairing with the meal. 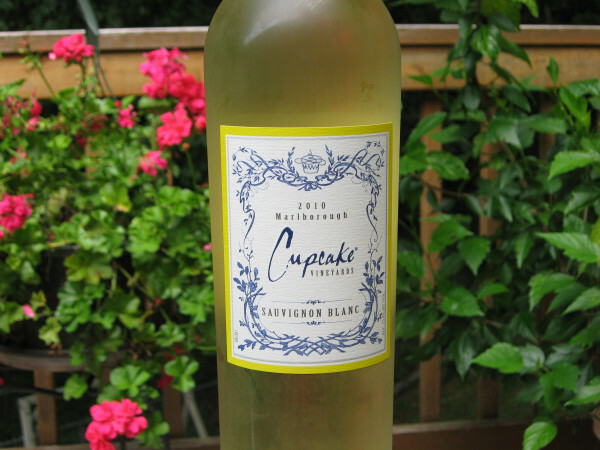 We like this on a warm afternoon while we are relaxing on the deck before starting to make dinner. Always light, crisp, and refreshing with just a touch of sweetness. A perfect wine in that regards for about $7. 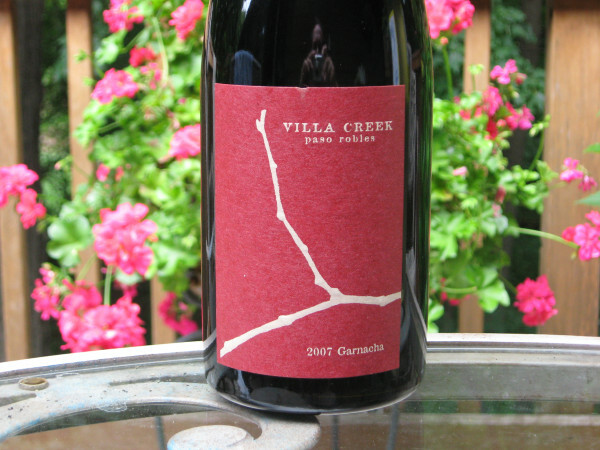 Our second Villa Creek wine of the weekend, we like this winery if you didn’t catch that drift. I’ve had several of these over the last couple of years and everyone has been outstanding. 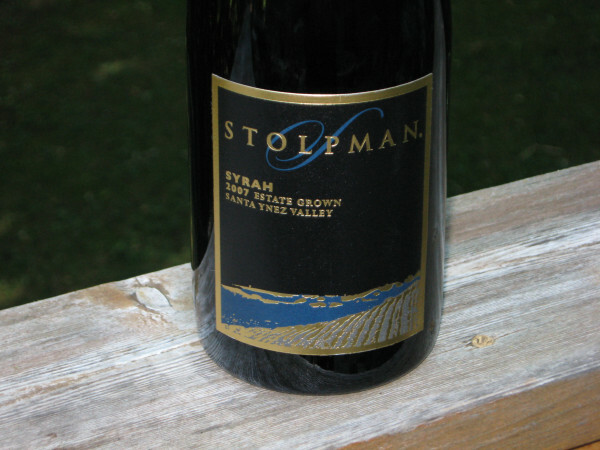 Generally offers nice earthy red fruit, spicy oak, and a nice pine/evergreen note. 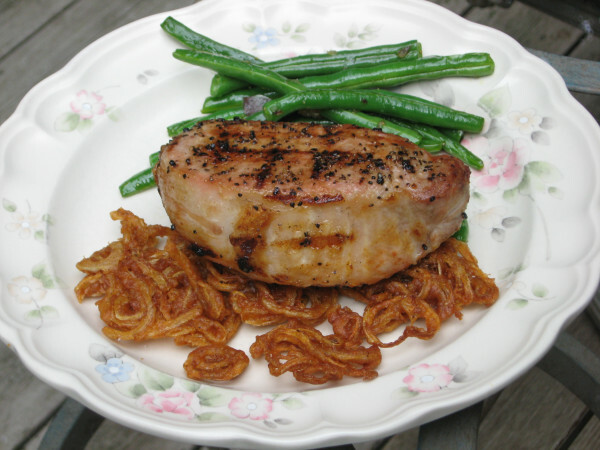 We paired the Villa Creek Grenache with a grilled, thick cut, boneless pork loin chop served over a bed of thin, crunchy onion rings and sauteed fresh green beans with some shallot. It was a delicious pairing. Where do you buy your wine? Supermarket, local wine store, direct from the winery, flash sale sites, large, internet based wine stores, etc. Personally, I buy about 35% of my wine direct from wineries, 55% from my local wine store, and the remaining 10% mainly older vintages or hard to find wines from WineBid and Garagiste. One of my “must buy’ mailing lists, Loring Wine, sent out their “save the date” e-mail. Their next offer goes live on August 15th and will include Pinot Noirs from Keefer Ranch, Durell, Rosella’s, and Garys’ as well as Chardonnays from Durell and Rosella’s. Hopefully they will once again be releasing some of the Pinots in 375ml bottles. These are big favorites of my wife when I’m traveling. We generally have couple bottles of Loring Pinot Noirs every month. Highly recommended! The next release from the Paso Robles based Villa Creek offer goes live on August 21st. This is one of the few wineries that I take an automatic six bottle shipment. I usually add at least enough to take it up to a case, but I have been known to get two cases in a shipment. 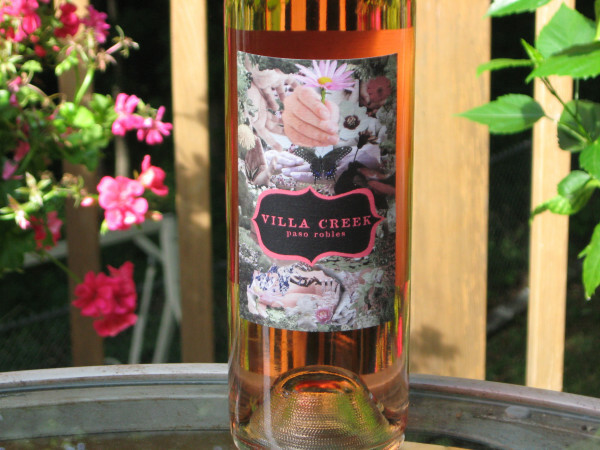 I absolutely love Villa Creek’s wines and highly recommend them and share bottles with friends. In my opinion, Villa Creek wines need a few hours of air or preferable a few years in the cellar to come together and to show well. I’m still slowly drinking my remaining bottles from the 2005 vintage and loving them. Finally placed my order this morning. I love the generous and guaranteed allocations, not to mention the fantastic wines. I ended up leaving more on the table than I was originally planning to leave. That should help people who wishlisted some wine or enable new people to join the list and enjoy the wonderful offerings from Morgan.